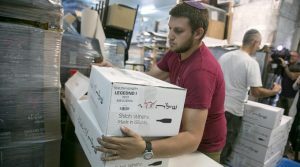 French vendors are now required to clearly mark all products from settlements in Israeli-occupied territories after Paris introduced import regulations in line with EU policy. When in November 2015 European Commission guidelines were adopted, Brussels stated that enforcing the regulations is the responsibility of the authorities within each of the 28 EU countries. The BDS movement is a massive global campaign aimed at increasing economic and political pressure on Israel to end the occupation and colonization of Palestinian land. But Tel Aviv sees the movement as a threat to its security and sovereignty.